With industry-leading engineering, design and support, Liberty Lift’s oil and gas artificial lifting solutions are the best. Period. Fort Worth is our engineering center, staffed with an unparalleled industry expertise in rod lift technologies that has created a strong industry reputation for high quality and lasting performance. Liberty Lift products optimize your well’s lifespan and productivity, built for efficient, reliable service. They are safe, they are cost effective, they are Liberty Lift. 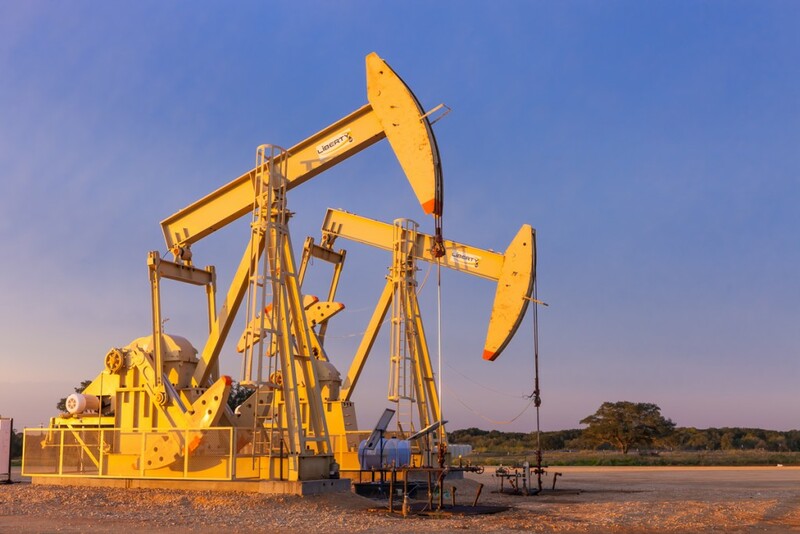 No single lifting solution will work for every well, which is why Liberty Lift has developed a full range of pumping units for oil and natural gas applications. Liberty Lift’s technology is built on proven iron and built to surpass API 11E standards. In short, our clients have access to the most reliable and most cost-effective oil & gas lifting solutions available. Our leadership team, which brings together more than 125 years of industry experience, has deep insight into the challenges facing oil and natural gas extraction operations, and it is prepared to meet those challenges head on for its customers. Pressure can be friend or foe to a rig operator and extraction operation. Through their life cycle, well conditions will change, and that includes changing hydrostatic and formation pressure. Eventually, it won’t be enough to get the oil or gas to the surface, and that’s when it’s time to partner with Liberty Lift. Our artificial lift systems are designed to optimize a well’s pressure, restoring flow rates and ensuring maximum productivity. Liberty Lift pursues this mission with industry-leading design, manufacturing and installation processes. Our product portfolio includes several pumping unit designs and proprietary technologies, including our XL Long Stroke system. All of Liberty Lift’s technologies are built for one of the most demanding markets in the world – the oil & gas industry. And because we know that rig operations are always active, so is Liberty Lift’s support team. With Liberty Lift’s oilfield services, oil & gas companies will never have to fold under pressure. Don’t let suboptimal pressure keep your oil & gas production down. Liberty Lift’s artificial lift technologies are ideal for bringing a well, of any depth or shape, back up to speed. There is no one perfect pumping unit, which is why Liberty Lift offers several designs. With a full array of lift options, clients can get a Liberty Lift solution that offers maximum ruggedness and cost effectiveness. And our extensively trained support team ensures it all keeps running. A top notch service team is what separates Liberty Lift from the rest, as our support experts are the best at what they do. Few pieces of iron are as challenged as much as a pumping unit, so their components must be maintained and, when necessary, replaced to ensure continued production. Liberty Lift’s team can do both, in facility or in the field. Liberty Lift’s service facilities are placed throughout U.S. drilling regions, and here, our support team can perform a range of component repairs and replacement. We also have an extensive inventory that includes reconditioned pumping units, and we have the equipment needed to get that inventory into the field, with cranes and a fleet of trucks on hand. In the field, Liberty Lift’s technicians can help our clients manage every well and project. With comprehensive inspections, preventative maintenance, component installation and optimization, our team can maximize every oil and natural gas lift technology. And that’s something every oil & gas operation needs. Liberty Lift is optimized much like its artificial lift technologies. Its senior management combines more than 125 years of experience in the industry. It controls the entire pump unit development process, from drawing and engineering, to installation and post-installation support. It has enough presence to respond, in the field, to clients located throughout U.S. drilling regions. And it’s agile enough to constantly improve and add onto its product portfolio. Few others can bring all of those traits together into a single whole, but Liberty Lift manages to do so while maintaining unparalleled quality of construction and service. The ubiquitous beam pumping system is one of the most important technologies in the artificial lift industry, and is therefore one of the most important technologies in the oil & gas industry at large. Liberty Lift has two versions of it, both designed and built to exceed API engineering and quality specifications. Liberty Lift’s engineers bring more than 30 years of combined experience in developing beam pump units, and our support team ensures they provide optimal productivity throughout the well’s lifespan. Our beam pumping systems include the High Efficiency (HE) and Enhanced Geometry (EG) models, with some subtle differences between the two. Most notably, the EG’s crank rotation range is extended several degrees, allowing for better pump fillage and helps control torque requirements. But both models are built with extremely durable gearing and bearing systems, so they are cost effective options for years following installation. And when support is required, Liberty Lift’s team is available 24/7 to repair or replace any components. If the well is deviated, if data is scant or if there are heavy solids present, gas lift systems are typically the preferred method of artificial lift. And Liberty Lift designs, manufactures and installs its version of the technology. Our gas lift systems can function in an enormous variety of environments and with nearly endless well configurations, including horizontal and offshore wells. Each one is optimized and kept running by our top notch support team, which has a presence throughout major U.S. drilling zones. Liberty Lift’s artificial gas lift systems are built with few moving parts, so they are simple for rig operators to manage. Maintenance is not an issue, either, as our gas lift systems can be built with wireline retrievable applications, though tubing applications are also available. All needed gas lift valves and mandrels are included with the system, and all valve assemblies are flow-performance tested to ensure reliability. Gas lift technology is one of the most dependable tools in the box, and Liberty Lift has made them more dependable than ever. Extended stroke length is the new frontier for rod pump units, and Liberty Lift’s XL Long Stroke is the pinnacle of the form. Its 306-inch stroke length is an enormous addition to artificial lift efforts, as it can generate much greater fillage and efficiencies with it. The XL Long Stroke can also be optimized at most pump speeds and fillage rates, so it’s a flexible piece of iron. The slower downstroke does wonders for efficiency, but it also shields bottomhole components from wear. Not only are bottomhole valves engaged less often, but compression forces are kept to a minimum, as the rod can be brought to speed gradually and at a linear pace. This protects the rod string and tubing. Further, gas locking is usually negated with the XL Long Stroke’s superior gas compression ratios, eliminating the need for risky maneuvers like tapping a plunger with the bottom of the stroke. Rod pump lift systems already receive enough punishment as it is. Keep it at a minimum with the addition of the XL Long Stroke system. Liberty Lift’s design and manufacturing acumen is on display with our extensive product portfolio, as our pumping units represent the peak of the technology. But even the best technology needs support, and Liberty Lift offers that too. In addition to lift systems both new and reconditioned, our support team produces the components necessary to drive them. This includes the parts that are subject to intense wear or require fine configuration, like mandrels and valves. Because Liberty Lift keeps these parts on hand, we can respond to our clients’ requests for parts with little turnaround, ensuring no interruption in well operation. In addition to our products, support services and parts inventory, we also partner with other companies to help bring you the latest in cutting edge lift technologies, such as our hydraulic jet pump. Few artificial lift technologies are as flexible and reliable as hydraulic jet pump systems, which is why Liberty Lift and JJ Tech have joined forces to offer the best version of the technology available to oil & gas companies. The Liberty Lift and JJ Tech hydraulic jet lift system brings together a Wanner Engineering surface diaphragm pump and JJ Tech’s advanced downhole pump. The surface pump is environmentally and VOC sealed, and is built with discharge pressure, suction pressure, pump oil level and vibration sensors, for maximum ease of use. It is also built with a mechanical pressure safety valve and, optionally, a pulsation damper. JJ Tech’s downhole pump is paired with the company’s software, for performance monitoring and optimization. It is designed for maximum reliability, with no moving parts and multiple options for retrieval, including hydraulic and wireline retrieval. With an advanced surface diaphragm pump, an efficient downhole pump and Liberty Lift’s excellent support team, this is the ultimate in hydraulic jet lift solutions.